This is Professor Li’s first ever English book. This book commemorates the family’s devoted journey of over 100 years to the martial arts. 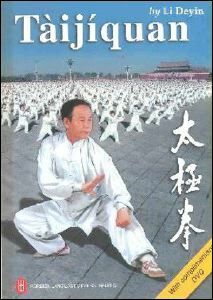 It contains the most in depth detail in history, philosophies, principles and techniques of Tai Chi. It covers 24-Step and 42-Step Taijiquan , 42-Step and 32-Step Taijijian , 81-Step Traditional Yang style Taijiquan. Most precious of all, this book includes Great Grand Master Li Yu Lin, top student of Sun Lu Tang, and his demonstration of the 81-Step Old Yang form, which is said to be even older than the 85 Step long yang form currently practiced throughout the world. Includes free DVD of demonstrations of all the routines featured in the book.